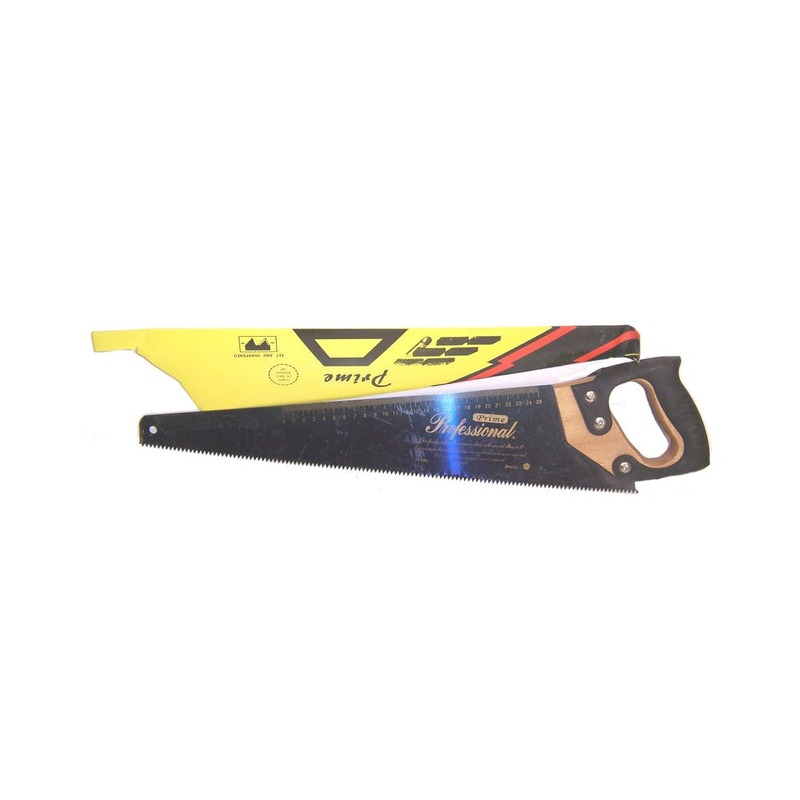 Handsaw for cutting wood and sheet rock. Very light. Has a wooden handle and a printed ruler on top.